After a number of entries and some tough competition we decided that the company who best deserved the award was Insofast Ltd for their Insulated Plasterboard Fixings. Insofast supplies high performance insulation fixings designed for thermal efficient construction and retrofit insulation upgrades. Mr Andrew Latimer was ready to receive the award on behalf of Insofast and Twistfix Technical Manager, Ray Evans, had it ready to hand over. Stainless steel drywall fasteners offer reduced cold bridging potential and enhanced corrosion resistance, whilst galvanised plasterboard insulation fixings provide a cost effective alternative to dot and dab. Both have a dished head to countersink into plasterboard, without tearing the paper face and both are fire resistant. 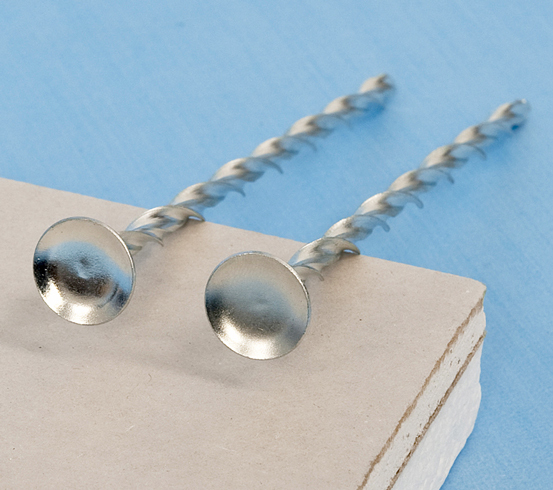 The helical shank corkscrews through the insulated plasterboard panel and into a light-weight block without the need for pre-drilling. 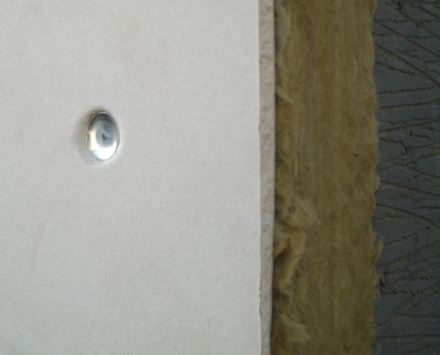 Additionally the fastener fixes plasterboard to concrete blocks and brick via a small 5mm pilot hole. Make sure that you check out Insofast products, which you will find in Insulation Fixings category. We would like to take this chance to thank all suppliers who entered into this competition and to congratulate Insofast once again for achieving the award for the Most Innovative Product of 2011. 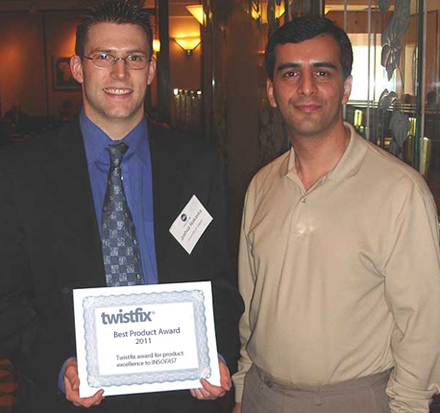 For more information, contact us on 0845 123 6007 or email sales@twistfix.co.uk.